Being the only one responsible for whether your company thrives or falls on its face can be stressful. All those nights lying awake at night thinking about everything you have to do the next day. The ground teeth, tight jaw, and headaches are all tell-tale signs of the pressure you feel. The only way I’ve found to deal with all of that was to be as organized as possible. I got my life together by using less than a handful of apps and the different time management techniques they apply. I’m going to run you guys through 5 Apps and a few time management tips to reduce stress. 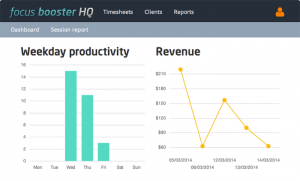 Tracking time and billing clients might be the bane of our existence as freelancers. We want to be creative and to work on what we love, not make spreadsheets and invoices. If that hits a little close to home, then Toggl’s what you’re looking for. 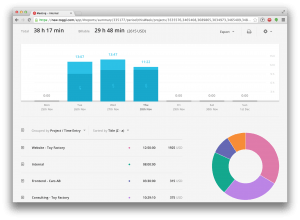 Toggl is not only easy to use, with one-click time tracking, there’s also a web browser extension so you can connect and track your time from anywhere on the web. That means you don’t have to open up the program everytime you want to use Toggl or you need to track something. It’s always right there at your fingertips. 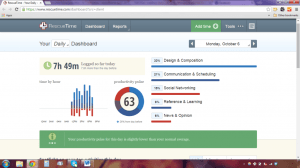 Bar graphs, circle graphs, spreadsheets, anything you need to track your time. The feature I like most about Toggl is that it tracks what you spend your time on. You know exactly how long each task takes so over time your proposals become more and more accurate. I don’t think there’s any client in the world who likes to be quoted one thing and then charged more because of “complications.” If you need a time tracker that will work with you, give Toggl a try. That’s it! It’s one of the most simple yet effective time management/productivity boosters out there. It’s perfect if you’re on a deadline or need to improve your focus throughout the workday. 5 minutes for a break may not seem like much, but it’s enough time to grab a coffee, snack or use the bathroom. That’s precisely what your brain needs as well. The Focus Booster App combines the Pomodoro Technique and time tracking into one App. 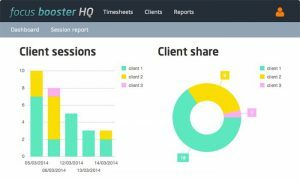 You can assign project names, create timesheets and track where you spend your time. There are a lot of regular Pomodoro timers out there as well that don’t include the time tracking if you’re looking to try it out without all the bells and whistles. Check out Marinara Timer for a simple, set and forget Pomodoro timer. Always got Facebook or Instagram on the brain? Freedom has you covered. It automatically blocks time-wasting websites for you. You can set up customized lists of sites you’d like to prevent, or they even have some pre-defined blocks as well. If you really need to cut off cold turkey, you can actually turn off the internet for a set period of time. If you have a routine, which I hope you do, schedule recurring sessions for certain hours or days of the week, so you don’t even need to turn it on. Maybe you know that towards the end of the week you don’t feel productive when you wake up (I mean, who does?). Set a session to block social media, YouTube or whatever your poison is before 11 am. That way you’ve got no choice but to get something done, or go outside, which wouldn’t hurt either. Maybe you’re saying to yourself, “I’m sure I could just switch it off if I really wanted to go onto Facebook.” Actually, they thought of that as well. Freedom has included a Locked Mode where you can’t turn off or modify a session once it has started no matter what you do. This is to help you really kick those nasty Twitter habits and it’s one of the best time management tips to reduce stress out there. If you’re in denial of whether you need Freedom to block websites, you should take a look at Rescue Time. It’s a time tracker but on Level: Ninja. It tracks your entire activity on the web and even which apps you use throughout the day so you can see exactly what you’re doing at all times. It then tells you, based on your own activity, how and when you get distracted. It’s founded on the idea of finding a work/life balance for those people who are always connected. You can block websites like with Freedom, set alerts if you’ve spent too much time on one activity, and log highlights about things that you got accomplished. Pairing this with Freedom would give you complete control over every second of every day of your life (if you’re into that sort of thing). I used to loath lists. I always thought it was my mom’s way of telling me she didn’t think I could remember the 5 things she told me to do. Now I realize it was her way of telling me that she’s smarter than I am. Or she was just being nice and trying to help me out. There’s no way to know. 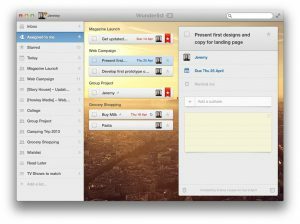 Anyways, Wunderlist is an all-in-one list maker and reminder app to help you organize your thoughts. If you lie up at night mentally arranging what you need to do the next day you should definitely find yourself a list maker. Writing it down and doing a little work triage before bed will help clear your mind and let you relax into a full night sleep. If you need any reminders about deadlines or things on your list you can set those up as well. Lastly, if you work with a team of other freelancers, you can easily share lists between users. (You could even send your kid’s chores to them if you really wanted to). This app also works for your personal life as well. As I mentioned above, Freelancing distorts the lines between personal and professional life. Being professional in the same place that you pay your house bills can sometimes be a bit confusing. 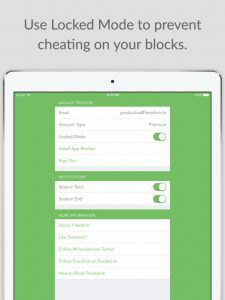 However, with this app, you can have different lists for different parts of your life. I especially appreciate creating a shopping list. I hate getting to the store and trying to figure out what I should or shouldn’t buy. If you need a little guidance in that area, as we all probably do, take a gander at my article: Diet and Fat Loss – 10 Hassle-free Tips for Freelancers. Welp, there you have it. I used to be that nervous wreck lying awake at night thinking about what I needed to do the next day so I could afford to eat more than rice at the end of the month. I’ve actually saved time, reduced my level of stress and taken control over both my personal and professional life. If even after all of that, you need a little extra stress reduction, check out my article: Best Meditation Techniques – Freelance Destress Edition. As a freelancer, we have to be everything to our companies and some days there just aren’t enough hours in the day to get everything done. My best time management tips to reduce stress can be your HR, personal assistant, customer service and so much more. We all need a helping hand every once in a while. So, take advantage of what’s out there and use the resources at hand to make the best freelancing life you can. Happy Freelancing everyone! Have you used any of my best time management tips to reduce stress? What did you think and is there anything you would change? Hey there! I’m having a hard time managing my time. I work 5 times a week 8 hours and day and I have an online business when I get home. Sometimes I get stress out because all the things I needed our due and I have a lot of things to do. Luckily, I read your article about time management tips this is very informative and helpful and I will surely use one of this apps. Thank you for sharing this information. I appreciate you taking the time to leave a comment. Having an office job and then a side gig can be really taxing. Any of these would be great for you if you’re having trouble focusing on work or if you need more organizational help Wunderlist really is a great tool for making lists. Let me know if you have any questions on them and I would love to help! Have a good one and Happy Freelancing! Right now, I primarily use Evernote (which is pretty useful, but doesn’t have all the extra features). I’m gonna have to try the Wunderlist app because using lists is a huge help for remembering to do certain things and keeping track of important tasks. Thanks for the help, I never would’ve been exposed to this information otherwise! Thanks for stopping by. Evernote is a great tool but as you say it can only do so much. I’ve been using Wunderlist for a while now and will never look back. Gettting up in the morning, making my coffee and knowing exactly what I need to do to start my day off without overthinking it has been great. It really helps to slow down your mind lying in bed at night as well. Let me know how it goes! Thanks again! Happy Freelancing! This is good advice to help us all, not just freelancers but most of us could use help with time management and distressing technics. I particularly like the rescue time to help us she the areas that we waste time in. The distressing meditation advice is very sound. Most of us could use a little yoga or meditation in our lives to keep us healthy and sane. Thank you for stopping by and taking the time to leave a comment. If you’re interested in meditation I wrote an article awhile back: Best Meditation Techniques – Freelance Destress Edition. It outlines how you can meditate and to relieve stress in only a few minutes a day. I hope you enjoy it and thank you again for stopping by! Are Kneeling Chairs Good for Your Back – Can it help alleviate pain?